5th Gen 2010 - ???? - The Camaro is back from a long time off. Lets talk about the newest 5th Camaro here. Pics guys lets see pics!!!!!! Are you going to lower the 2010? It looks like it's already much lower than the 3rd gen, and thicker. Dude come on where's your motivation! I just turned 18 today and I have a sure fire, sound, and guaranteed plan for me to afford a fully loaded 2SS in 4 years on my 22nd birthday. I'm currently saving up from my summer job for a $20,000 down payment (making about 5k a summer) plus, when the time comes to buy the Camaro, I will be selling my mint condition 2001 Suburban which comes with a lot of upgrades, and that will go for around 8k by that time. 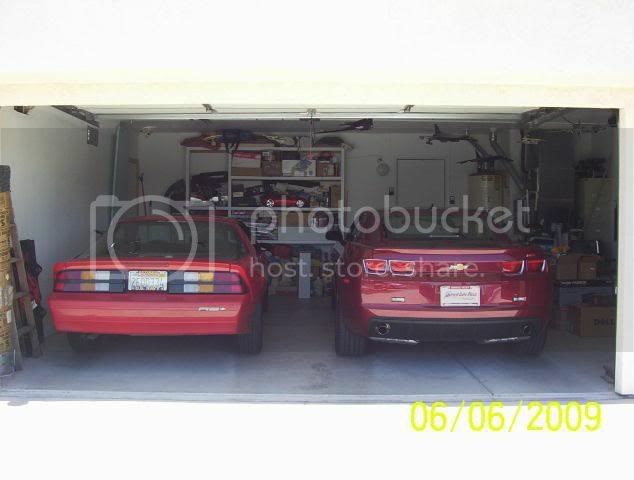 So, if I play my cards right, I'll be able to put a down payment of at least if not more $28,000 on my Camaro!!! Then I'll only have a 12,000 left to pay off, and I mean, who can't afford that cheap of a car payment? See? You just need a plan like mine! Back the car right I like the most! Steep red dream! Last edited by next453; 01-02-2017 at 03:37 PM. Super! The leftside car it's my dream! Cool car! Very good look in red. Last edited by Desy111; 11-20-2017 at 05:13 AM.